st. charles rock road - B.E.L.T. 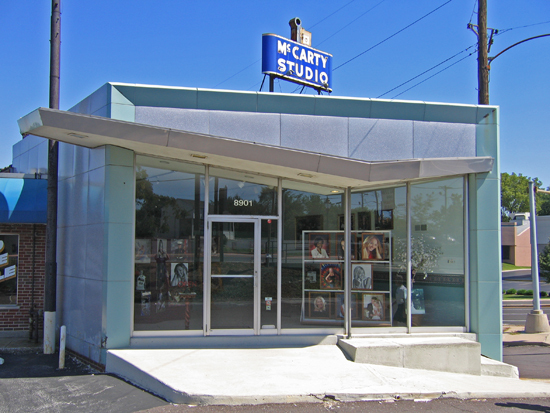 The McCarty Studios building tells its story with one glance. The building originally went up in 1940, 5 years before St. John was incorporated as a village. 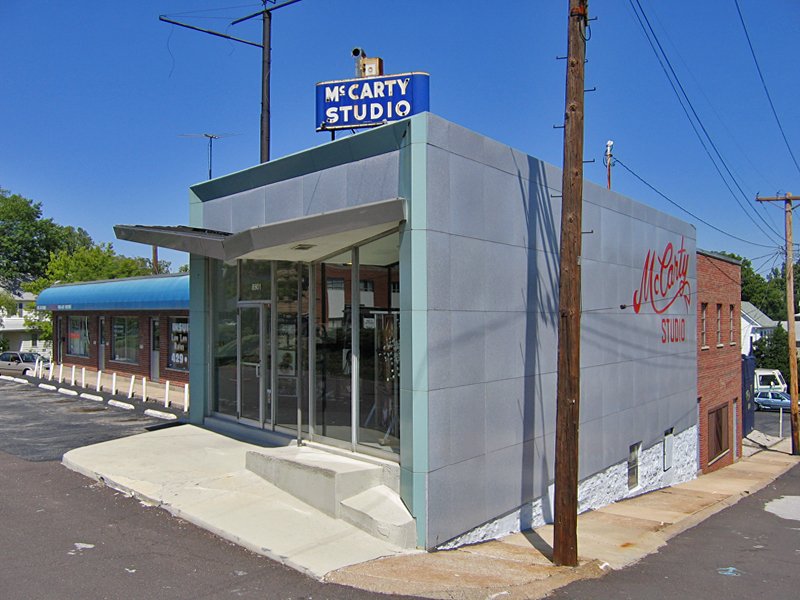 The flashy new front facade – by my best guess – went on right around the time streetcars were losing ground to automobiles in the late 1950s. 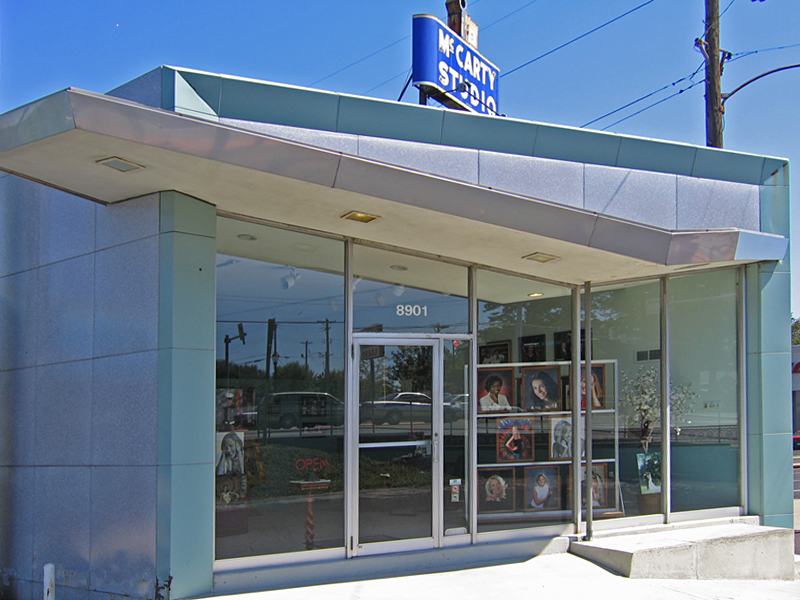 Along with a house catty corner from it at this intersection, it is the only original building left. 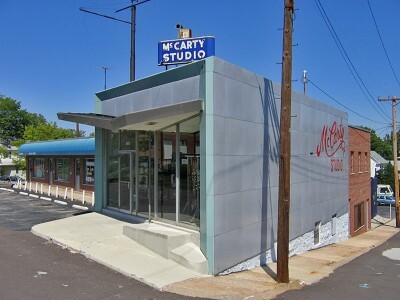 The Walgreens sits across the street from McCarty because they tore down the streetcar shed in 1961. The remaining corner has a commercial building that is classic early 1960s Institutional Modern (and now even houses the St. John City Hall). 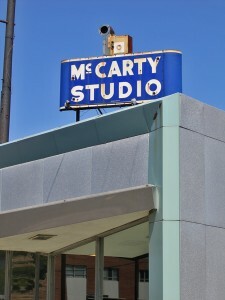 The McCarty Studios made the architectural leap to be modern during a time when this inner-ring suburb of St. Louis County was booming with activity, they have stood pat ever since and have unwittingly become a retro curio of the recent past. 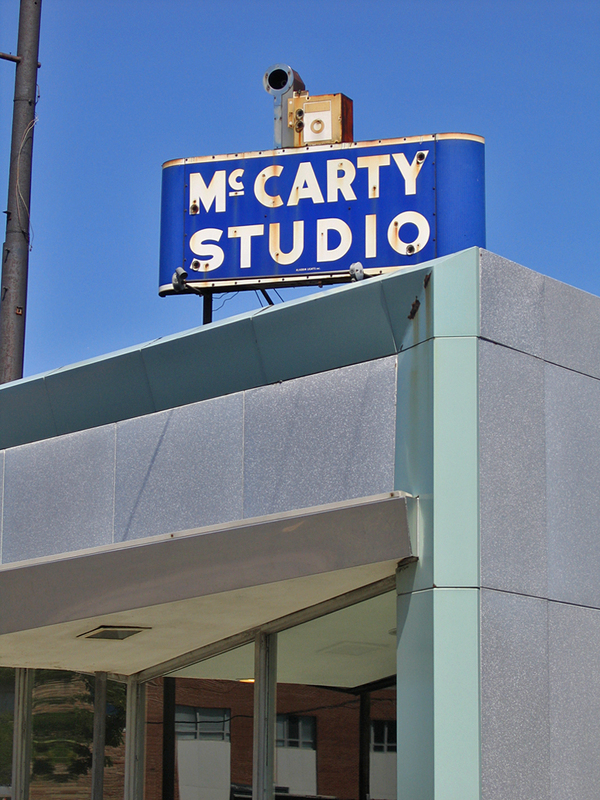 I love that when they renovated the facade to reflect the new glamor of car culture, they chose to keep their 1948 vintage neon sign. This decision was most likely based on economics: we’re paying a bundle for this remodel – why pay even more money when we have a perfectly good sign? 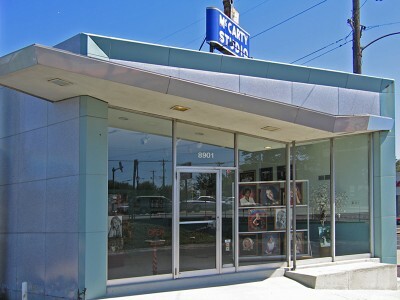 When working in camera retail several years ago, I used to wait on one of the McCarty sons, and just had to tell him how much I adored their building and sign, and how glad I was that they hadn’t remodeled it into the fake stucco box fast-food look so common in today’s retail upgrades. He responded that they keep meaning to get a new sign but just haven’t got around to it. I probably spooked the poor man by passionately trying to convince him to not touch anything on that building because its retro distinctiveness was their very best form of 24-hour marketing. If it ain’t broke, don’t fix it. Here we are 5 years later, and all pieces remains in tact. Here’s hoping they continue to remain so busy that they don’t have time to think about remodeling!